DragonBox Numbers will teach your child what numbers are, how they work, and what you can do with them. 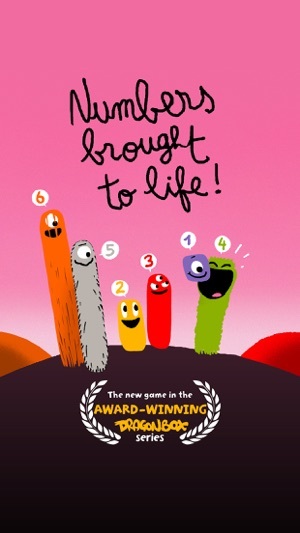 The game makes it easy and fun for your child to gain an intuitive understanding of numbers. It's a great introduction to the wonderful world of math. 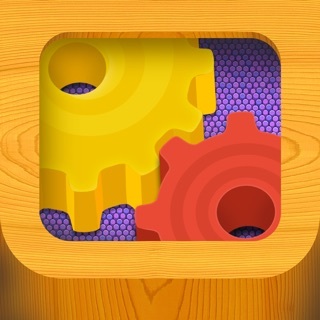 The "Sandbox" section of the game is designed to let your child explore and experiment with the Nooms. 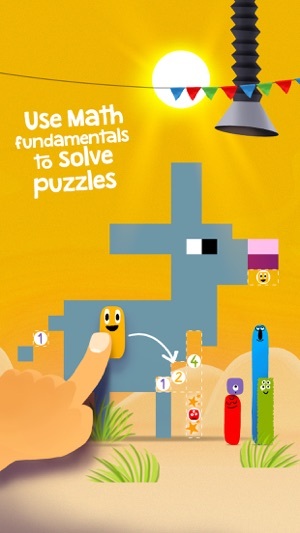 It's also the perfect tool for parents and teachers to explain basic math concepts to kids. In the "Puzzle" section, your child will use basic math to create their own puzzle pieces, and place them in the right spot to reveal a hidden picture. Every move your child makes reinforces number sense. 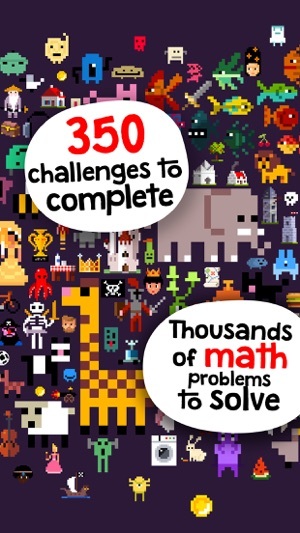 Your child will perform thousands of operations while solving the 250 puzzles. 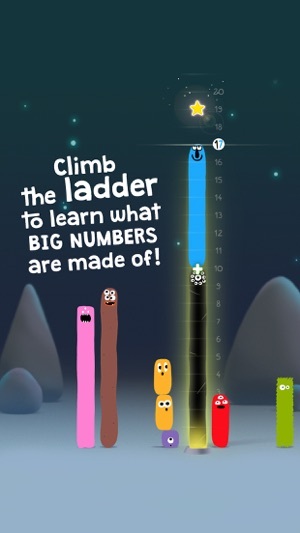 In the "Ladder" section, your child will have to think strategically to build larger numbers. Your child will develop an intuitive understanding of how larger numbers relate to small numbers, and practice basic math strategies every step of the way. In the "Run" section, your child will have to direct the Noom down a path using quick mental calculations. Your child can use their fingers, Nooms or numerals to jump over obstacles. 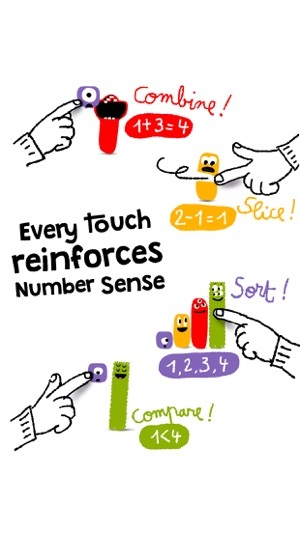 This activity reinforces your child's number sense and trains their ability to quickly recognise and add numbers. I have a new iPhone X and the newest IOS (as of Feb 2019). 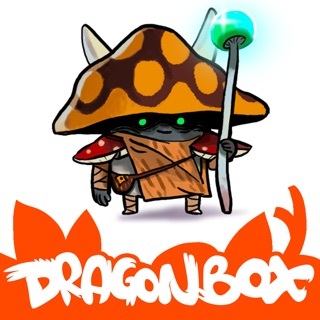 Downloaded DragonBox Numbers and there was no sound. Ran through some troubleshooting with DragonBox support and the sound issue was fixed. My 5-year old son really likes the game. I like how the game “talks” about the math going on (IE: “One plus four is five”). I have my son repeat this and it has helped with his basic addition/subtraction. 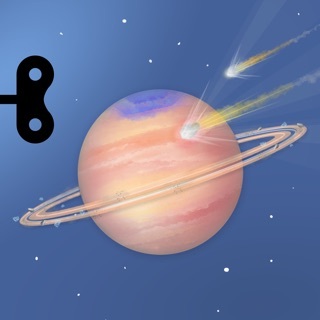 I recommend this game for fun, while educational, learning. We want our users to have a great learning experience with our games, we are glad we could assist you and your 5-year old! Seamless learning is our trade, we are thrilled that your son has fun learning Number Sense while playing our game! As a mom and a math teacher I endorse this game fully! My kids love it and beg to play it. We know fluency is an important part of math success, and that fluency is better built by encountering math facts in a variety of settings vs something like flash cards. This app is a fun way for students to compose and decompose numbers! I especially love how it constructs numbers larger than ten. This game is a ginormous hit its awsome but it’s not perfect I think you shall add numbers bigger than 100 and make the max 1000 instead of 100 and 2nd reason is that all of the numbers should have their own looks. That would make me do 5 stars but for now it’s 4. It is about additions and subtractions with numbers up to 99 999 in a very funny and unique experience. If you loved Numbers, you should also be delighted by BIG Numbers!